The following steps will ensure you can sync with your SharePoint Online libraries, that you are able to access your files online, and that you have enough room for the right files to sync. This article is for users who have an Office 365 work or school account, and refers to the latest version of SharePoint Online and OneDrive for Business. If you don't sign in with an Office 365 account, read how to Fix OneDrive for Business sync problems. In the images below, "Contoso" is a fictional name used by Microsoft as an example company. You should see your own organization's name. Browse to your SharePoint Online location. Select the Document folder or Library that you are trying to sync. If you don't see the sync option, or you see a screen that says "Which library do you want to sync?" then the site has not been configured for syncing, and you should contact the site owner. Note: Page or site owners can edit via Library settings > Advanced settings > Offline Client Availability. OneDrive and Windows are frequently updated and keeping your PC up-to-date can help SharePoint Online sync problems. Download the latest Windows updates to get the most out of SharePoint Online. The Windows 10 Fall Creators Update enables Files On Demand which can help resolve sync problems. Learn more about OneDrive Files On-Demand. Download the latest version of OneDrive and install it. If you already have the latest version, the installer setup will end automatically. For more information on the latest version, read the release notes. Press , search for OneDrive and then open the OneDrive desktop app. Note: If shown, do not select "OneDrive for Business" as that may be an older version still installed. When OneDrive Setup starts, enter your SharePoint Online work or school account, and then select Sign in to set up your account. You won't lose files or data by disabling, uninstalling or unlinking OneDrive on your computer. You can always access your SharePoint by signing in online. Select the blue OneDrive cloud icon in the notification area, at the far right of the taskbar. Note: You might need to click the Show hidden icons arrow next to the notification area to see the OneDrive icon, or click and start typing "select which icons" to display the notification area settings option, and then show Microsoft OneDrive. If the icon still doesn't appear in the notification area, OneDrive might not be running. Click , type OneDrive in the search box, and then click OneDrive (not "OneDrive for Business" as that may be an older version) in the search results. Click Stop sync for the location that is not syncing correctly. 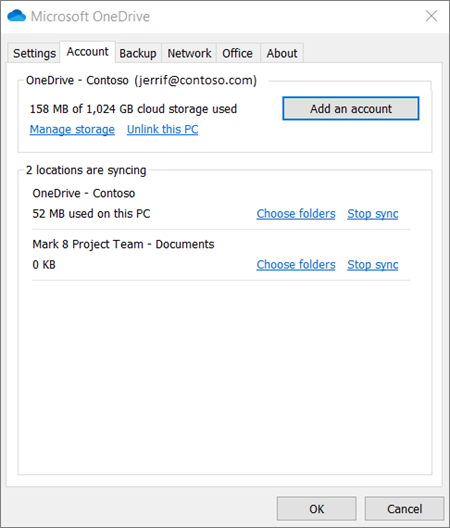 Follow the steps to Sync SharePoint files with the new OneDrive sync client. You won't lose files or SharePoint Online data by disabling, uninstalling or unlinking OneDrive on your computer. You can always access your files by signing in to your OneDrive for Business account online. Select More, then click Unlink this PC. 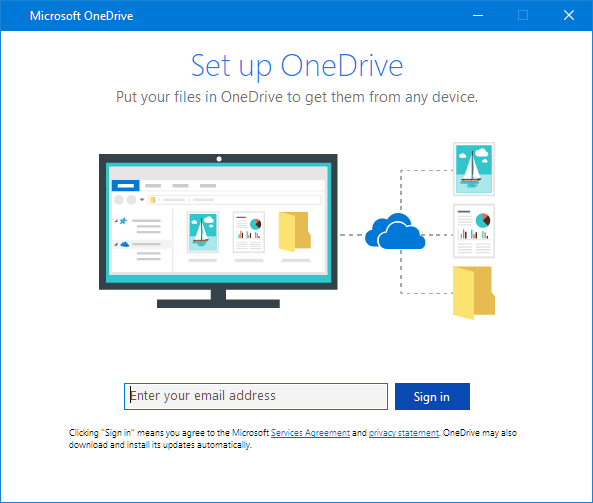 Follow the steps in the Welcome to OneDrive wizard to set up OneDrive. For more information, read how to Sync files with the new OneDrive sync client in Windows. If you are seeing the sync icon stuck for a long period of time, moving some files out of a sync folder can help clear any sync issues. Once sync is complete, move the file back again. Make sure that none of the files you want to sync are larger than 15GB. If you see an error message such as "This file is too big to upload" or "Reduce the size of this file to upload to..." try reducing the size of a file by zipping it. You may be able to reduce the file size of a picture. To resolve this, shorten the name of your file or the name of subfolders in SharePoint Online, or select a sub-folder that's closer to the top-level folder. Make sure that your file doesn't contain any illegal or characters (such as <, >, :, ", |, ?, *, /, \) or that the folder includes any unsupported file types. Learn more about Restrictions and limitations when you sync files and folders. If you’re having trouble syncing Office files, the Office Upload cache system may be interfering with SharePoint Online sync. Try turning off the related setting in OneDrive settings. Select the Office tab and uncheck the Use Office 2016 to sync Office files that I open check box. 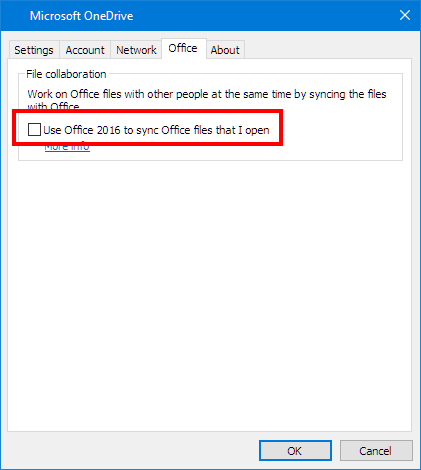 Note: When you turn off the Use Office 2016 to sync Office files that I open setting, any changes that you and other people make to Office files in your SharePoint Online will no longer merge together automatically. Repairing or reinstalling Office can sometimes fix sync conflicts between Office and SharePoint Online. Read how to Download and install or reinstall Office 365 or Office 2016 on a PC or Mac. If you continue to have issues syncing, you can reset OneDrive. Resetting OneDrive re-syncs all your OneDrive files and resets some default settings including whether you were selectively syncing files. You won't lose files or data by disabling or uninstalling OneDrive on your computer. Press the Windows key and R.
After a minute or two, OneDrive will restart and begin setup. Read more about how to set up Sync files with the OneDrive sync client in Windows. Follow these hints and tips to get the most out of your SharePoint Online and to make sync as trouble-free as possible. OneDrive Files On-Demand helps you access all your files in OneDrive without having to download all of them and use storage space on your device. Learn more about OneDrive Files On-Demand. You can also download fewer files by choosing which OneDrive folders to sync to your computer. Note: You won't lose files or data by disabling or uninstalling OneDrive on your computer. If SharePoint Online sync seems to be stuck for a long time or the status shows "Processing 0KB of xMB" it could be because you have a lot of files in your SharePoint Online or a lot of new files to be uploaded. If you have more than 100,000 files, sync can take a long time. Note: For transferring large files or lots of files, we recommend adding the files to the OneDrive desktop app rather than the using Upload button on the website. Right-click the OneDrive folder and select Properties. 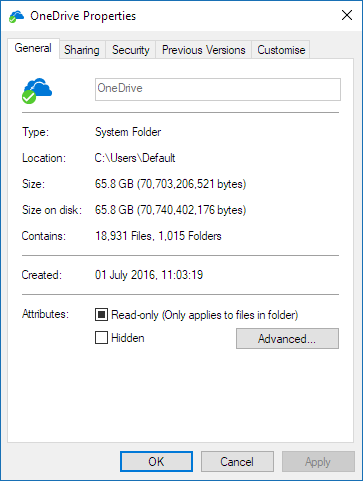 If the Contains number is more than 100,000 you should consider which OneDrive folders to sync to your computer. If the sync is already in process, you can Pause and Resume your sync to get things going again. Select More > Pause syncing... , and select either 2, 8 or 24 hours. Select More again and select Resume syncing. Enable users to sync SharePoint files with the new OneDrive sync client.